Discussion in 'General Wireless Discussion' started by thiggins, Apr 26, 2018. This is rich given the TM1900 hack takedown. Are there any other routers manufacturers other than Asus that are doing this? I will never buy another Asus product in my life after something they pulled with me over a laptop I sent in for repair. I thought nobody would do this thing to kill their own product sale but looks like ASUS is doing it right! Love this. ASUS is a big company and they have funny ways of doing things from one department to another. For example as you observed, their laptop department is rubbish but their networking equipment department is basically better than all other that I've worked with. I groaned a bit when I saw the sides offering "5300mbps" speeds. Who writes the CC articles anyway? (Not asking rhetorically, just really wondering who writes them). Zero added value added in that article. 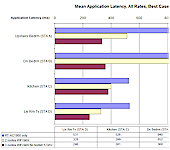 Why not discuss how to optimize your router configuration for optimal aimesh performance? I bought a top-of-the-line Asus laptop for over $4k directly from Asus. Within 2 weeks I had it fail on me due to overheating. I sent it in. I was told that it would take a week to get it fixed. A week comes along, didn't get it. I called back. Told it would be another week. Another week goes by, no laptop. I called, told it will take another 4 weeks to get it. I ask to speak to a supervisor and was hung up upon. Called back, asked to speak with a supervisor and was transferred to an extension that rang non-stop for a hour. I kept getting told that it will be returned shortly. After 8 weeks, I got fed up, filed a lawsuit against Asus to get my laptop or my money back. As soon as it was filed, they sent me my laptop back. When the laptop arrived, it didn't recognize any hard drives. I called about it. Guess what? They tried to tell me that I must be putting the drive back in wrong. I laughed at them and said I was a support engineer for Seagate for 3 years and probably have forgotten more about hard drives than they would in their careers. They hemmed and hawed but finally accepted a RMA. I asked for an advance replacement - no problem! They said they will have it shipped right away. It never arrived. Contacted Asus's Office of the President - they were surprised someone from the US would call Taiwan at all about an issue like this. They told me that they had no advance replacements but will push mine to the front of the line if I sent it in. Guess what? 6 weeks later, I still hadn't gotten my laptop back. I had been given the run around time and time again. I was fed up. I bought a Clevo laptop that arrived at my door 3 days after it was ordered. NEVER had a problem with it. It took Asus another 3 months to get me my laptop back - I had to threaten to sue again to get it back. Guess what? It was STILL broken when I got it back. At that point, I was so fed up I filed suit again. Asus ended up with their laptop back and I got my money back plus some other monies for the BS they put me through. NEVER AGAIN! I am sorry but with that type of treatment, I will buy from someone else. There is 0% chance I will recommend them to any other person - not even my worse enemy. Say what you want about Asus being a "big" company. That does not give them an excuse to treat someone like they did with me. I will stick with Gigabyte, MSI or Sager/Clevo for laptops, MSI or Gigabyte for anything else computer hardware-wise and Netgear for networks. I am totally with you here. Like I said their laptop department is rubbish because I had something similar. However I also had some experience with their networking device support which is a breeze. Just sharing some personal findings here. 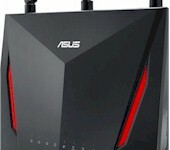 The experience was so bad that I will never touch an Asus product again. That laptop was a "let's give them another chance" after bad customer support experiences in the past with Asus - motherboards and video card issues in the past too. When someone I know insists on buying Asus, I tell them that generally they make a good product but if it ever breaks in warranty, there is a good chance they will regret buying from Asus. Ubiquiti or Mikrotik all the way. Best alternative if you cant afford Cisco. 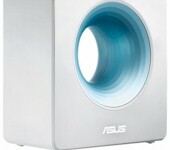 Warranty repairs aren't handled by Asus, but by local service centers. Your experience may vary between countries, my own experience has always been positive here in Canada. It included a few motherboards, monitors and routers, and my own Zenpad. They even surprised me a few times by sending a brand new replacement rather than a refurbished one. That happened with a Rampage motherboard for a customer, and a PA248Q monitor for another customer, which had a discolored area and only 2 weeks left on its warranty - they sent a brand new replacement. For 15+ years I am on Asus motherboards, graphic cards, and routers, and extremely happy with it. Always build my own PC. Tried also Gigabite and MSI for other PCs, but they never were stable enough. Guarantee is fine, as it is handled by local re-sellers very well. 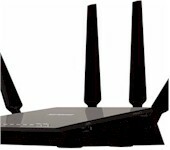 As for routers, I love Asus, as they maintain and issue new firmwares for their products for 5+ years. 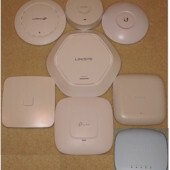 This cannot be said about D-Link, Linksys, Netgear, etc. 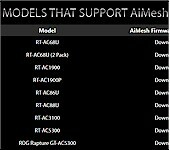 AiMesh works great for me, and is much faster than anything else I've tried. It basically solved all my network issues - coverage, speed, stability. And it is very easy to maintain, as configuration from main router is pushed to nodes. Both OpenVPN and IPSec are available, which is wonderful for remote work and being able to connect to my network. But for notebooks and monitors, nothing beats Dell (and maybe Lenovo Thinkpads). Dell has awesome NBD service. Would not ever consider other brand for notebooks. Dell monitors used to be manufactured by Samsung (before Samsung entered the market on their own). Don't know if that's still the case.